Experience and enjoy the simple pleasures of life like wading barefoot in a creek, plucking apples from the ancient orchard or watching a fire dance on the hearth. 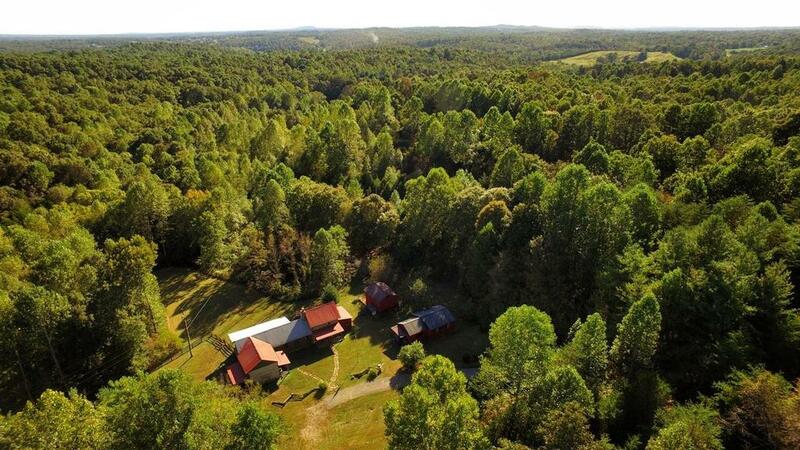 This is the essence of Cabin Creek Farm, a secluded retreat that is as resplendent in it’s rustic simplicity as it is comforting in it’s pure country charm. A place where even time takes a holiday, where opportunity to live this dream awaits you. 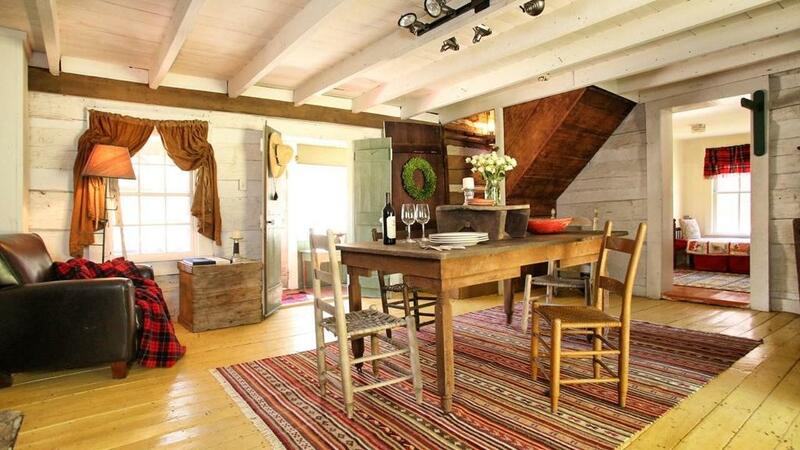 Make this idyllic hideaway your own. Welcome to Cabin Creek Farm. Welcome Home. Call or text Ken 859-494-5521.
antique log cabins and barns for sale. 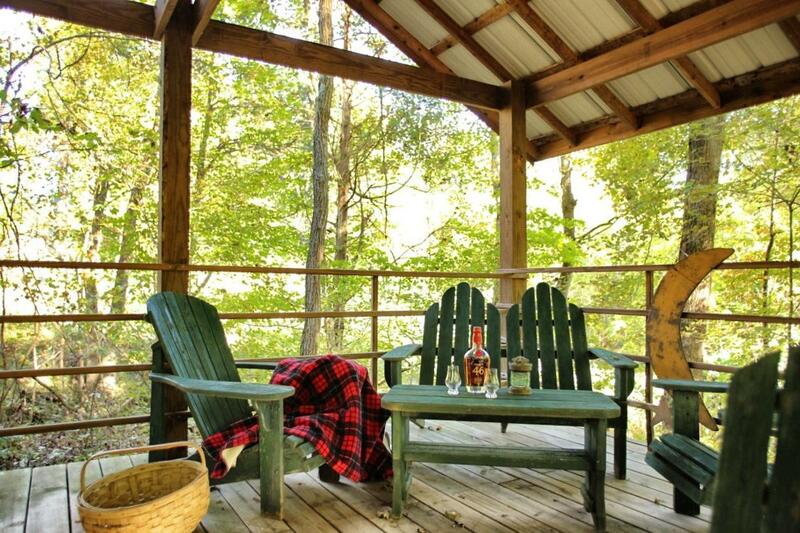 Retreat to the country in the heart of Kentucky, removed from the hustle and bustle of the world. 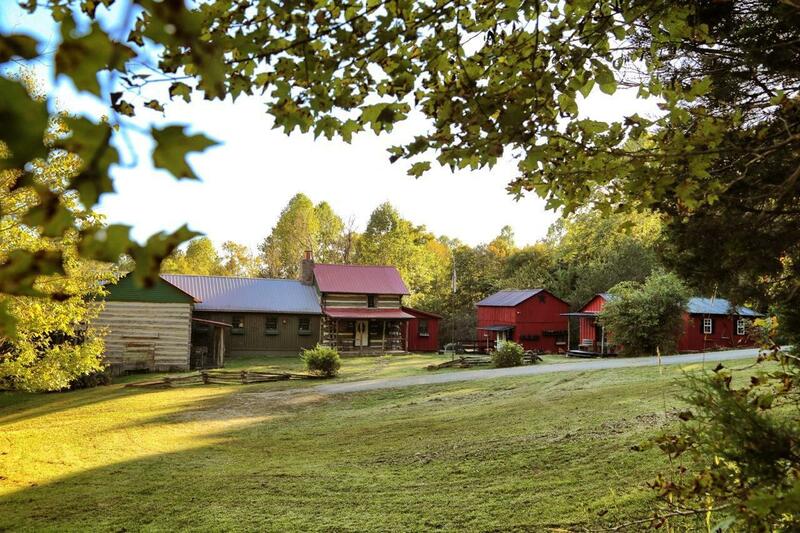 Here, at the end of a pristine country road lies the picturesque homestead known as Cabin Creek Farm. This 1863 enclave haven represents the pinnacle of the craftsman’s art. The original 19th century log dwelling is seamlessly linked to a like vintage log cabin via an expansive extension designed with rough hewn beams and cathedral ceilings to recall an earlier era. The result is a cozy yet well appointed habitat that pays tribute to its path while providing all the creature comforts essential for modern-day respites. Beyond these walls – a babbling brook, an ancient orchard and the verdant landscape of Kentucky’s famed countryside promise what only rural living can – peace. 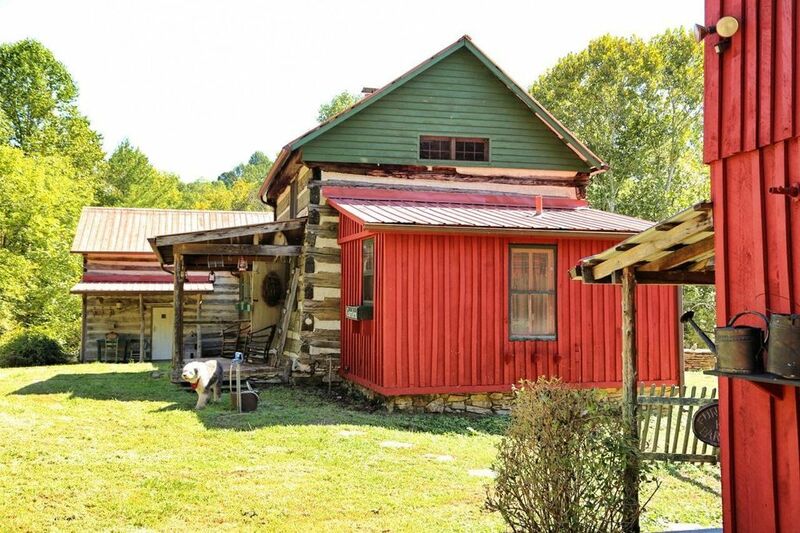 Unspoiled and unforgettable, Cabin Creek Farm’s original two-story 1863 house is flanked by a tin-roofed workshop and a century old log cabin which was relocated to the property and is now accessed through an airy rural-minded addition – where clean, simple style shines. At the heart of every great country home design is restraint – knowing what to leave in and more importantly what to leave out. By that standard or any other, Cabin Creek Farm is an overwhelming success. Well integrated rooms exercise a judicious mix of textures, colors and embellishments to provide the perfect environment for casual living. A charming limestone wall that once punctuated the exterior of the main cabin was retained to provide a permanent backdrop inside the large new kitchen. The long, wide hallway which connects the two cabins exhibits timeless touches and showcases the respectful marriage of past and present. Harkening back to uncomplicated summer kitchens, open shelves offer display space for everyday items above a retired grain store countertop. All through the house a certain alchemy resides – creating the pervasive warmth that makes Cabin Creek Farm such a coveted home. 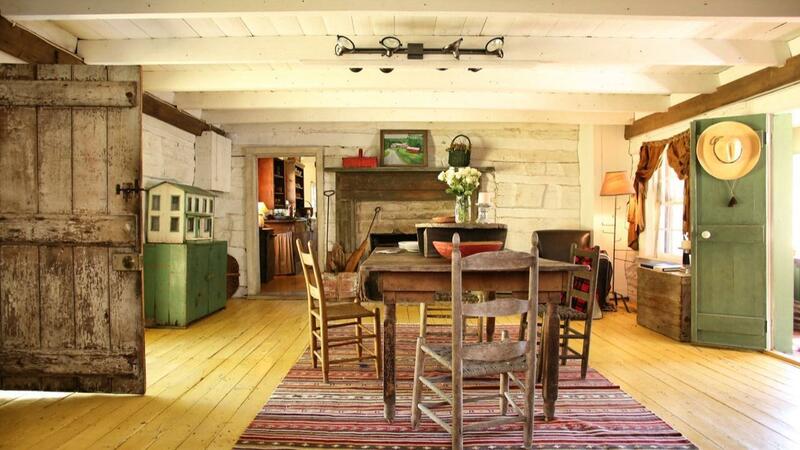 Nostalgic country decor is evidenced at every turn. 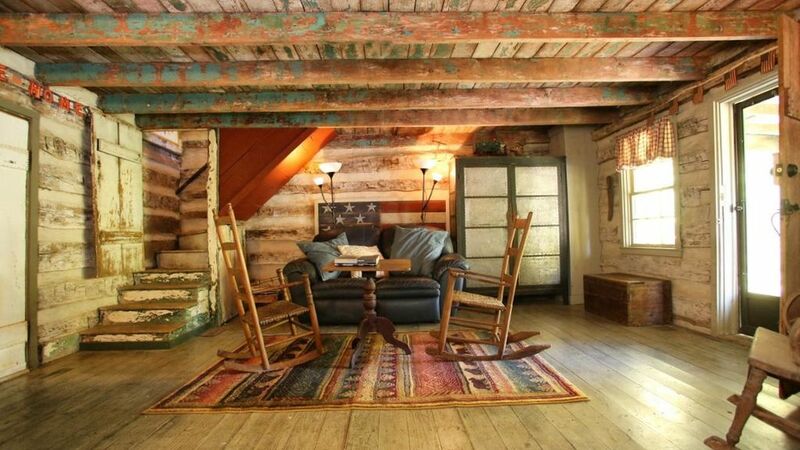 In both cabins, historic, time-worn steps lead upstairs to cozy guest quarters. Whimsical flowers adorn a door and bring the outdoors in year round – a primitive palette of colors works to enhance each room’s rustic character. 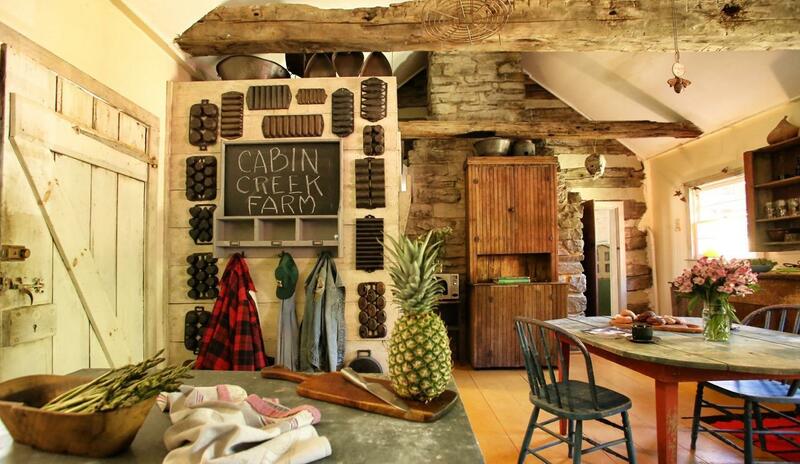 Simplicity – like a picture postcard perfect scene, Cabin Creek Farm brandishes – both indoors and out – a natural uncontrived beauty. By following the spirit of a restoration, rather than the rules of one – what emerged was a house filled with an unpretentious air, a cheery attitude and an innate appeal – in short, a captivating personality all its own. Harmony – Cabin Creek Farm started with a vision to create a home that celebrates the enchanting union of old and new, agreeably blending two historically-aged cabins with three later attached rooms – a sunny, enclosed porch, a charming sitting room and a full bath. 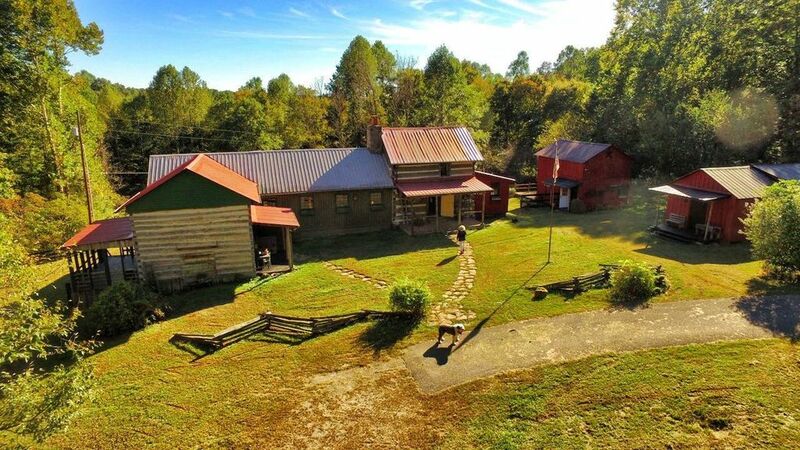 This delightful compound, nestled in the woods, also includes a charming two-story barn and a large outbuilding with electric and heat that can be used for so many year-round purposes; an antiques shoppe, a guest-house, workshop, office, art studio, whatever your life and interests desire. Wisdom – simply stated a passion for primitive shouldn’t come at a price. Featuring an inviting kitchen, a fireplace keeping room, a bright master bedroom and bath as well as ample guest quarters, a convenient home office and carefully considered amenities. This is a residence where comfort comes first. Pleasure is paramount and the living is easy. Warmth – lazy days slip into star-kissed nights. 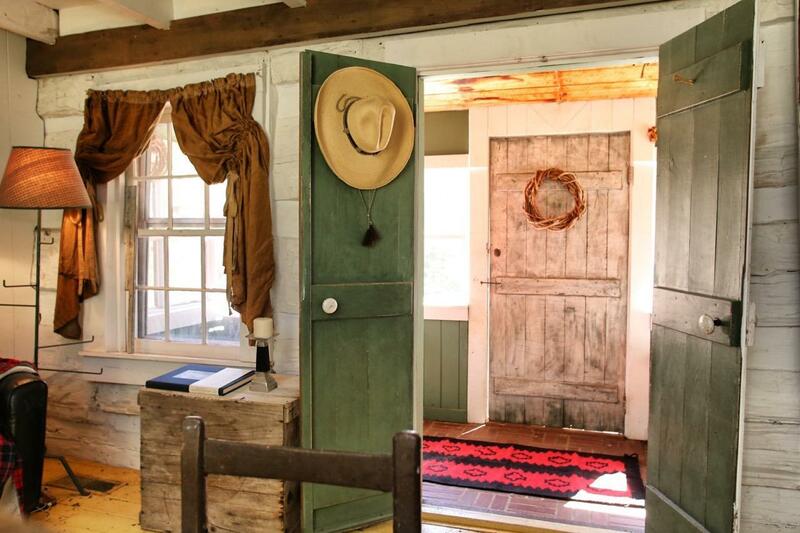 Where better to find yourself than cradled in the hold of Cabin Creek Farm? Here every detail is meticulously rendered. Every room holds homespun allure. Every window frames a bucolic landscape. And every moment is a cherished memory in the making. Remote but not removed – located in Kentucky’s Historic Heartland – in the heart of the state’s renowned antiquing region close to Nashville, Tennessee home of many antique shows, close to numerous horse racing venues including the Kentucky Derby, short drive to almost every bourbon distillery in the world – certainly right there in the Kentucky Bourbon Trail. 8 miles to a golf course, 10 miles to Hodgenville Kentucky, 12 mile from Abraham Lincoln’s birthplace National Historic Site, 20 miles to New Haven, KY – home of the Kentucky railway museum. 20 miles to the Abbey of Gethsemane – the largest Trappist monastery in the world, 1 hr to Louisville, 1.5 hrs to Lexington, KY, 1.5 hrs to Nashville Tennessee. Country Living magazine – featured on the cover twice. Country Living’s GARDENING magazine cover.